BRAVO strives to reflect the diversity of our students in our teaching staff. Our instructors bring experience teaching and performing music in Venezuela, Mexico, Brazil, Taiwan, inner-city Los Angeles, North Portland and around the world. They are accomplished performers and educators committed to inspiring children and improving our community through music. Our leadership team brings professional experience with some of the most respected arts organizations in Portland. 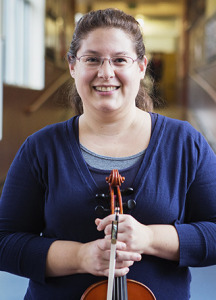 A violin teacher for over ten years, Karen is passionate about both children and music. 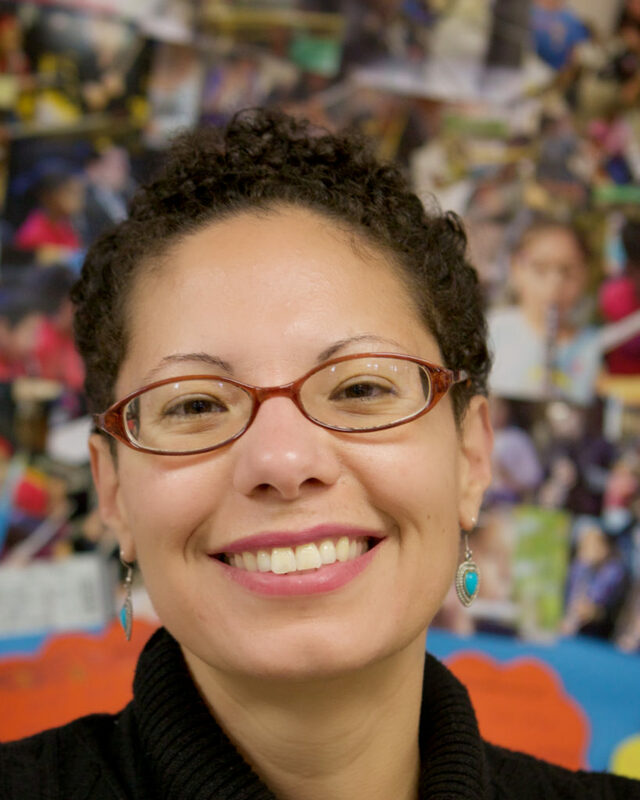 She holds degrees in both music and children’s literature, and recently completed a Certificate in Non-profit Management and Development at Portland State University. Karen worked previously with Laurita Jauregui as a volunteer teacher for the Portland Suzuki Project at Beach School. Sharon is a native Virginian who made her way out west many years ago. A choir singer, and a clarinetist-turned-electric-bass-player, music has always been a passion of hers. She comes to BRAVO from a varied career in the fields of television, law, publishing, tutoring, child care, chiropractic, publicity, and community outreach. Cecille has worn many hats as a musician. 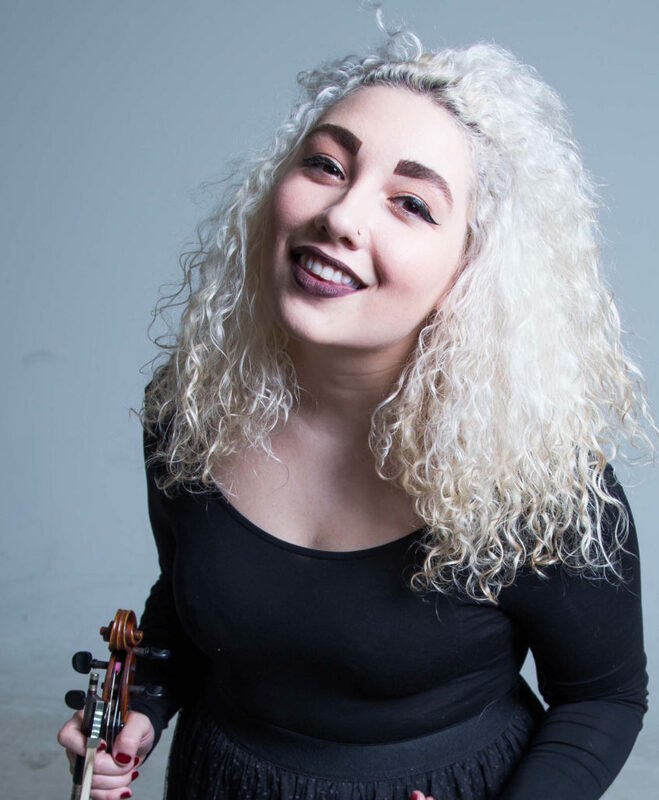 Growing up in the Midwest, she began her studies on the violin, later taking up the viola, and at the collegiate level she earned her BA from Western Michigan University studying voice. She has performed and freelanced in various groups enjoying a wide range of styles including classical, jazz, folk, rock, pop, and more. Since arriving in the spring of 2014, she has been performing and teaching in and around the Portland area. 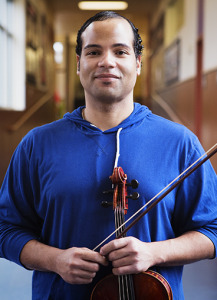 Chris Fotinakis left his native Nevada to study violin and voice at the University of Portland, and has been performing and teaching in the region ever since. He has played with the Vancouver, Newport, and Oregon East Symphonies and currently serves as concertmaster of the Portland Ensign Orchestra. As a singer, he has performed with the Portland Vocal Consort, Portland Symphonic Choir, and the Portland Baroque Orchestra and Chorus. 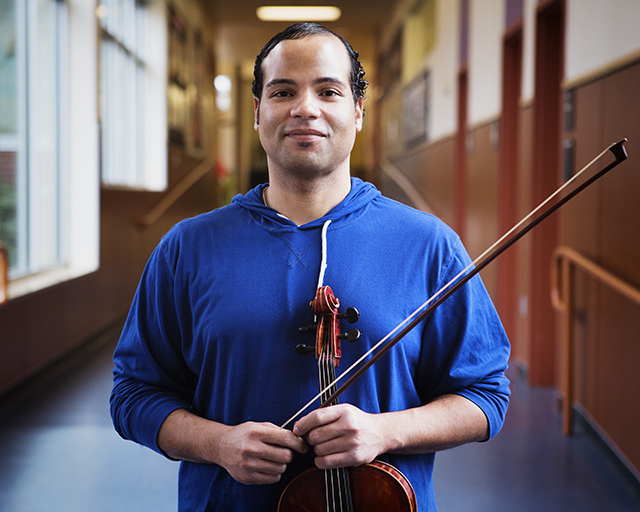 Chris directs the music program at Trinity Academy in North Portland, and teaches strings at Holy Redeemer School. In his spare time he plays soccer, studies foreign languages, and spends time with his amazing daughter, Sabrina. Amelia is a native Oregonian whose musical studies began at the age of 8 when she began taking piano lessons. At 10 she was introduced to the cello through an afterschool orchestra program. She later played in local youth symphonies in and around Eugene until she moved to Portland to attend the University of Portland. For 4 years she was the Principal Cellist of the University of Portland Orchestra and enjoyed being a member of a string quartet. 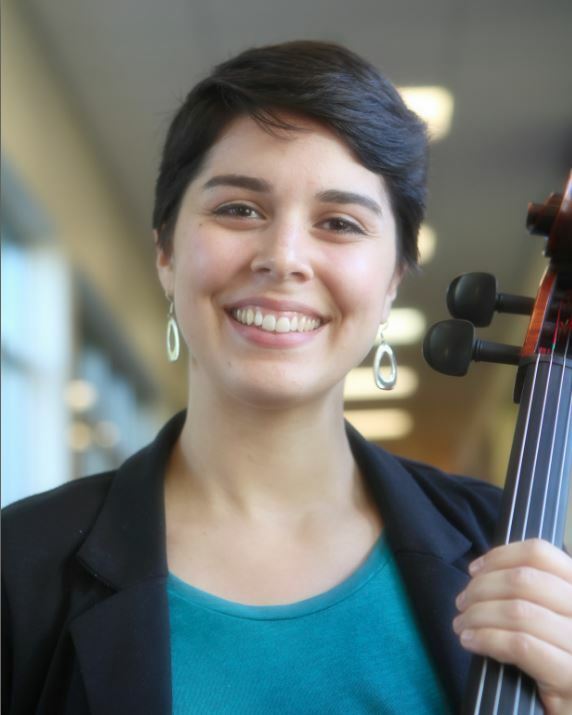 In 2014 she earned her BS in Biological Studies and a minor music with an emphasis in cello performance. Amelia loves to dabble in all genres of music but particularly enjoys folk, fiddle, and hymnal tunes. Currently, she plays with the Oregon East Symphony and fills her schedule working as a freelance musician around Portland and volunteering with her therapy dog, Bailey. 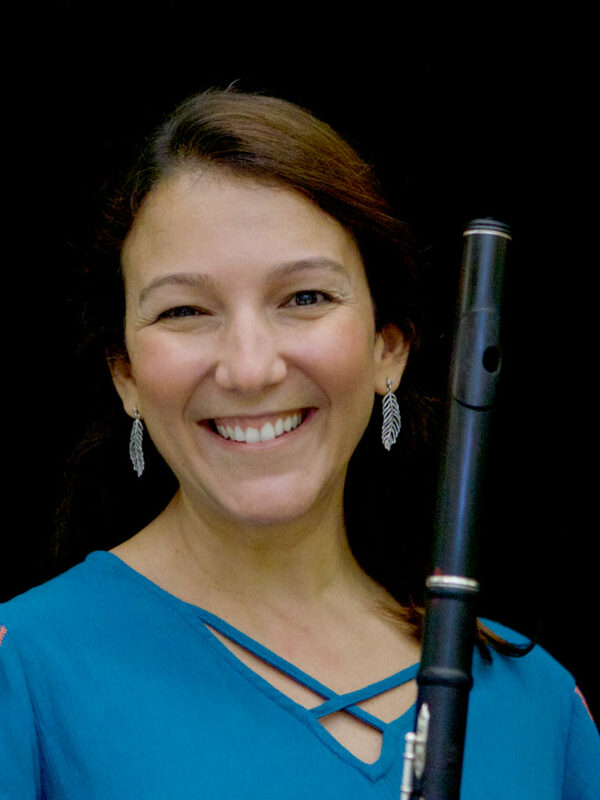 Natalie Neshyba is an active flutist and clinician in the Portland/SW Washington area. 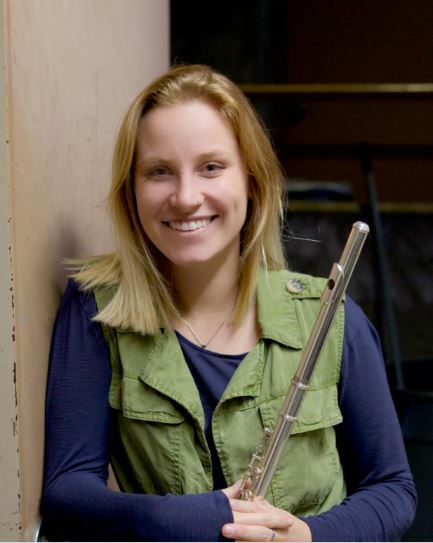 She received her BM in Flute Performance from Central Washington University and her MM in Flute Performance with a Teaching Assistantship from University of Northern Iowa. She performed in Metropolitan Youth Symphony and Portland Youth Philharmonic when she was younger, and has taught Music Theory for PYP. Natalie currently enjoys performing with the Portland Columbia Symphony Orchestra on both flute and piccolo. When not fluting, Natalie loves to volunteer in her community, cook, and play tennis. Seth grew up in a large family in Durham, North Carolina, playing sandlot football on the “wrong side of the tracks” and playing violin and piano on the other side of the tracks. After winning a scholarship to study violin at the North Carolina School of the Arts, Seth toured the capitals of Europe with an elite orchestra before attending Oberlin College and Conservatory as a National Merit Scholar. He was employed as a social worker and carpenter before embarking on a ten year career as a professional violinmaker. Seth was a founder and fundraising chair of the Portland Village School, now the city’s largest public charter school, and he was Director of Development and Community Engagement at Chamber Music Northwest. He and his wife Angela, a midwife, have two daughters, and they all enjoy camping, home repair projects, and making music as a family. BRAVO joyfully brings together many threads in Seth’s life and demonstrates his belief that the beauty of music should be accessible to all. 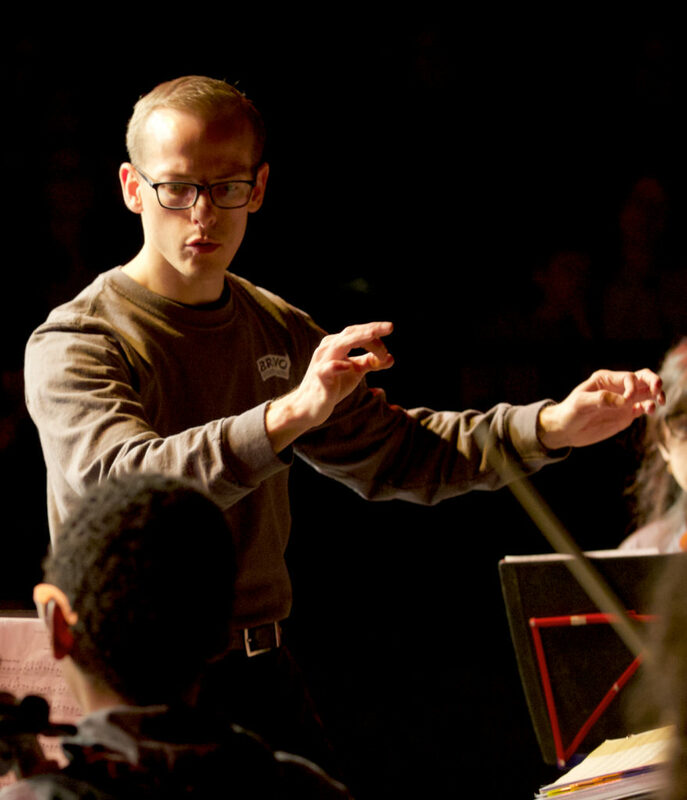 An energetic conductor, pedagogue, and composer, Mark oversees BRAVO’s team of Teaching Artists, interns, and volunteers. He conducts the Vivaldi String Orchestra and the BRAVO Community Orchestra. In addition to shaping the curriculum, Mark also arranges much of the BRAVO repertoire. A former faculty member at Community Music Center and Pacific Youth Choir, Mark currently conducts the Multnomah Chorus at Multnomah Arts Center and maintains a private piano studio. Mark earned a Master of Music degree from the University of Missouri – Columbia. He is a recipient of the Sinquefield Prize in Composition. 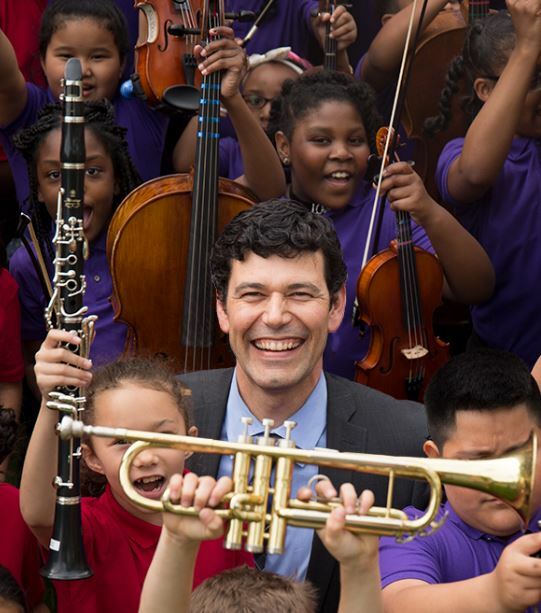 Starting in 2015 Mark served on the International Teaching Faculty for El Sistema USA’s National Take a Stand Festival, a multi-year project culminating in ESUSA’s first national youth orchestra which performed at Aspen under Maestro Robert Spano and at Disney Hall in 2017 under Maestro Gustavo Dudamel. 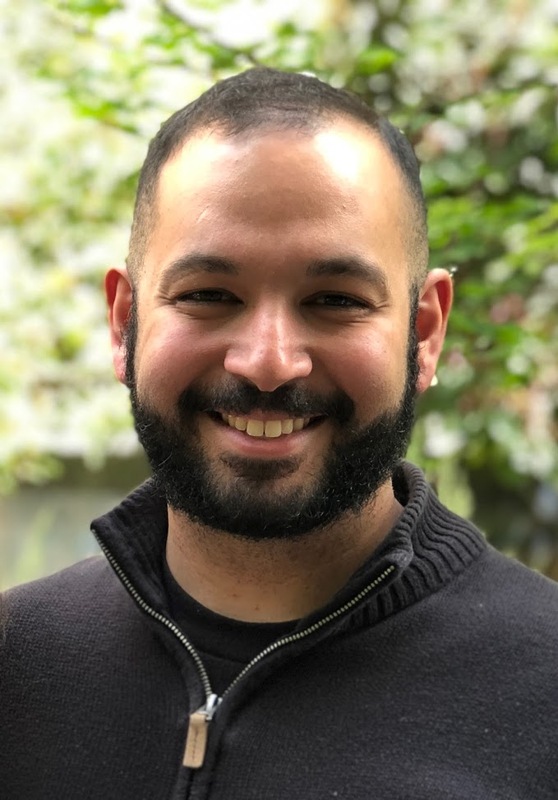 A Palestinian-American cellist, Hasan began his music studies at the age of 10 in school and later performed with both Metropolitan Youth Symphony and Portland Youth Philharmonic. He holds a Bachelors in Music from Portland State University where he studied cello performance with Hamilton Cheifetz. Hasan has appeared as a cellist with Portland Choir and Orchestra, Vancouver Symphony Orchestra, and Portland Ballet. 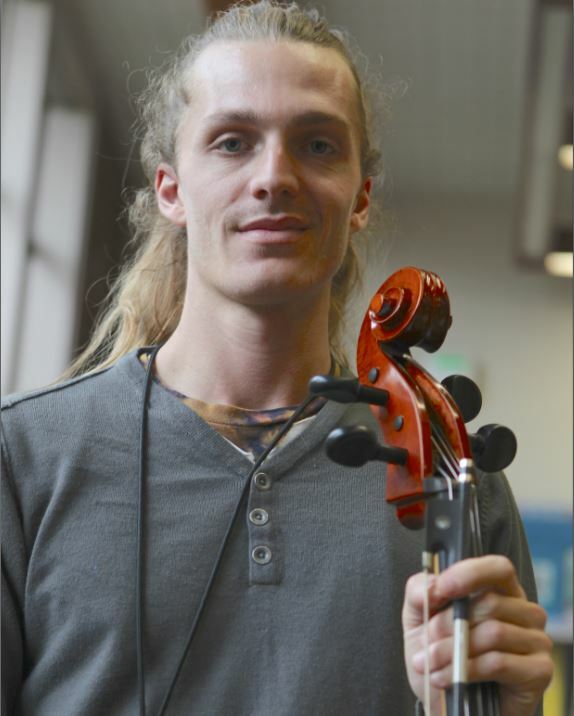 An active performer in the Portland metro area playing both modern and baroque cello, Hasan is interested in pursuing a Masters in Historical Performance. He is also a luthier-in-training at Kennedy Violins in Vancouver, WA. Stefana Berceanu was born in Bucharest, Romania, where she started playing the violin at the age of 9. In 1981 she moved to the United States and continued her music studies with Lajos Balogh at Marylhurst University. She currently performs with the Vancouver Symphony Orchestra, Portland Symphony Orchestra, Marylhurst Symphony and freelances with several chamber music groups. 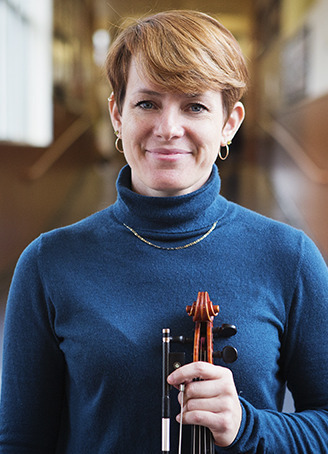 Stefana is the founder and director of the Pacific Crest Youth Sinfonietta and a private violin/viola teacher with a large studio in NE Portland. Timothée grew up in the French Riviera and began the cello under Charles Reneau at age six. Seven years later he graduated from the Nice National Conservatory. While pursuing further studies with Daniel Grosgurin at the Geneva Conservatory he won the Lalive Competition and a Fulbright Scholarship. In 2012 Timothée was invited to study with famed cellists János Starker and Emilio Colón at Indiana University’s Jacobs School of Music. In 2013 he accepted the principal cello position with the Richmond Symphony Orchestra. Since then he has made several appearances on public television and radio, including with the International Chamber Orchestra of Puerto Rico. 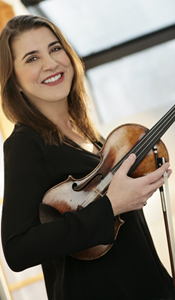 Aurelian maintains an active career as a violist, chamber musician and teacher. A native of Beaumont, Texas, he began his professional career being featured as a soloist with Baroque Orchestra of South East Texas in Germany and Belgium. As a chamber musician, he is the founder and violist of the Belden Piano Quartet, resident chamber musicians of the PMMF festival in 2009. His orchestral career highlights include performances with the Chicago Civic Orchestra, Chicago Sinfonietta, Pacific Symphony, Silk Road Project Ensemble, Houston Symphony, Houston Grand Opera and, as Principal Viola, with the Arizona Chamber Orchestra. Aurelian is proud to have played chamber music with members of the Houston, Atlanta, and Dallas Symphonies, as well as members of the Berlin Philharmonic. He has also recorded with Sting, Malcolm Jamal Warner, Karen Briggs, and James Tormè. 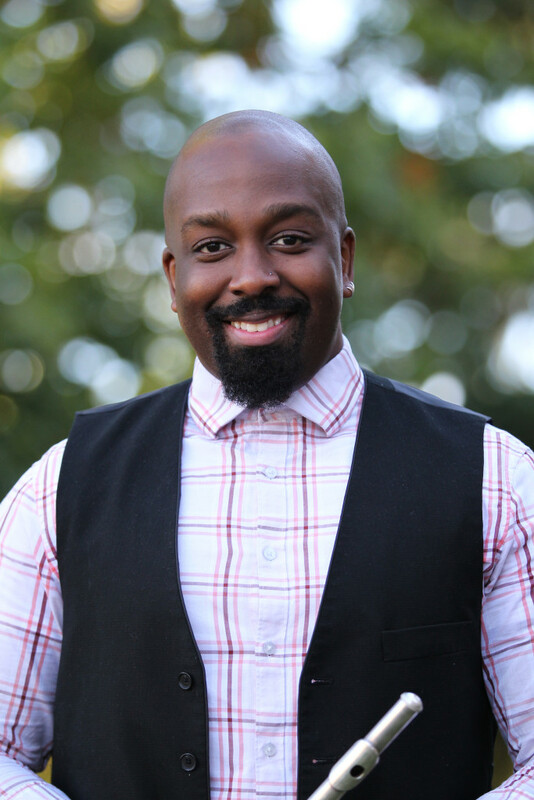 As a teacher, Aurelian is passionate about outreach, having taught with the Harmony Project, 92nd Street Violin Project and the Watts Willowbrook Boys and Girls Club in Los Angeles. A native of Sao Paulo, Brazil, Gabriela started playing flute at a young age. After earning her Bachelor of Music from Sao Paulo State University, she moved to the United States, where she earned a Master of Music at University of Central Arkansas and a Doctor of Musical Arts from the University of North Texas. She also taught as an adjutant professor at Harding University and at Brookhaven College. In Brazil, Gabriela has been an artist for Sopro Novo Project at Yamaha Musical do Brasil and was the chair of the Online Music department at Universidade Metropolitana de Santos. She has always combined her studies with performing in such ensembles as Banda Sinfonica Jovem do Estado de Sao Paulo and Conway Symphony Orchestra. Gabriela’s love of music extends beyond classical repertoire to include bossa nova and choro from her native Brazil. 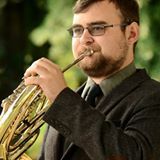 Kurt is an active french horn player and teacher, often performing with the Vancouver Symphony, Portland Columbia Symphony, Portland Festival Symphony, Big Horn Brass and several chamber groups. He grew up in the Beaverton area, starting piano when he was 5 and french horn when he was 9, playing with both the Metropolitan Youth Symphony and the Portland Youth Philharmonic. He received his Bachelors of Music from the Peabody Conservatory at Johns Hopkins in Baltimore. Kurt recently opened a jazz club in North Portland called The 1905 with other fellow musicians, and he enjoys to participating in professional fireworks shows. 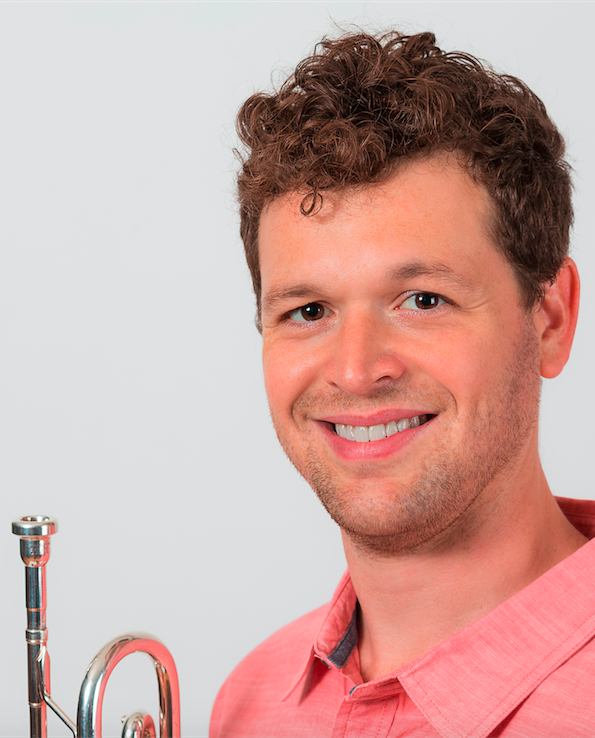 Joe received his Bachelor’s Degree in Trumpet Performance from the New England Conservatory in Boston after having graduated from the Pre-College program at Juilliard in New York. At the Longy School of Music in Cambridge, he continued his studies receiving a Master’s Degree in Dalcroze Eurhythmics (the study of music through movement) and an Artist Diploma in Chamber Music (with the Redline Brass Quintet, of which he is a founding member). After his time at music school, Joe put his skills to good use and built an ice cream sandwich business, Peace Pie, which now has six stores in three states on the East Coast. Feeling satisfied that he scooped enough ice cream, Joe moved to Oregon in 2017 to follow his passion for music. He regularly performs with the Eugene Symphony as well as other local orchestras and festivals. 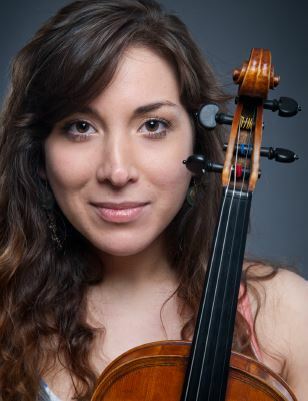 Alexis Mahler holds a bachelor’s degree in Violin Performance and Music Education from Lawrence Conservatory of Music. She was the director of the Upper Peninsula Youth Orchestra at Northern Michigan University and founded a small pop orchestra before leaving the shore of Lake Superior in 2015 and venturing west. 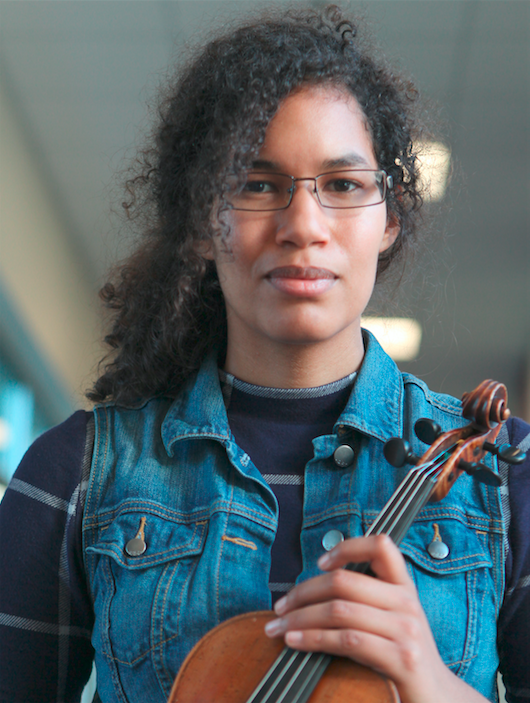 She currently teaches private violin and cello lessons at the Community Music Center in SE Portland. While she loves playing classical chamber music and symphonies, she also enjoys performing in more alternative settings and ensembles. As a cellist, she enjoys collaborating with fellow songwriters in Oregon, California, and back home in Michigan. Alexis has always loved teaching music, and she truly believes in the power and importance of making​​ music accessible to people of every age, experience, and style. In the rare moments Alexis is not creating, absorbing, or discussing something musical, you might find her spending time in nature or exploring this beautiful city. A lifelong violinist, Iantha grew up in a house where both parents were musicians and teachers. She performed with the renowned San Francisco Youth Orchestra, playing music across the US and in Europe. After attending high school at the San Francisco School of the Arts, she earned her Bachelor of Music from the University of California at Santa Cruz. Iantha studied Gamelan intensively at UCSC, strengthening the connection to her Indonesian heritage, and was also a member of the New Music Works Ensemble. After college, Iantha returned to her family home in the Gironde region of France, where she taught private and group lessons to all ages. She expanded her repertoire by playing salsa, rock, and electronic avant-garde on guitar and bass as well as old-time Cajun on fiddle. Portland’s Old-Time Music Festival is what brought Iantha to the Pacific Northwest. She met her life partner here and in 2015 welcomed a spirited daughter, Noëlle, into the world. In addition to teaching, Iantha is learning clawhammer banjo and body percussion. One of BRAVO’s founding Teaching Artists, bassist André St. James was a cornerstone of the rich, thriving Pacific Northwest jazz scene and worked regularly with his own quintet, Mel Brown, Dan Balmer, and others. André grew up in the San Francisco Bay area, graduating from Berkeley High School in 1968. He first came through Portland in 1979, liked what he saw and soon after relocated to Oregon. Over a performing career lasting several decades, André worked with an astonishing who’s who of modern jazz including giants like Sonny Rollins, the Harold Land-Blue Mitchell Quintet, Andrew Hill, Bobby Hutcherson, Charlie Rouse, Pharoah Sanders, James Moody, Alan Shorter, Nancy King, and George Cables. “Mr. André”, as he was known to our students, taught at BRAVO from our first year until his death in May 2018. He left behind a legacy of musical community that includes countless students and musical partners.